Center Harbor Dock and Pier LLC, a reputable full-service dock company in New England's NH shorefront, has been building an excellent reputation among waterfront property owners since its humble beginnings in 1974. It prides itself for being the home of docking industry experts who provide exceptional customer service and collaborate efficiently with clients in order to know, evaluate, and address their specific needs and preferences. 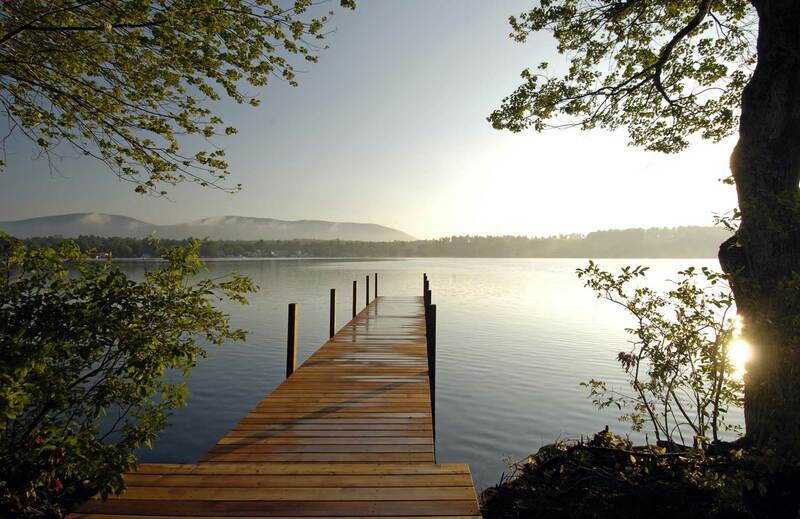 Our company—which caters to several areas, like Belknap, Hillsborough, and Carroll—offers services, such as securing necessary permits, and the installation and repair of custom-built or pre-built swim rafts, boatlifts, moorings, and other dock-related hardware. With these, we prove that our 39 years of experience and hardwork has given us enough license to competently serve numerous areas in NH, such as Merrimack, Belknap, Strafford, Carroll, Grafton, Sullivan, Cheshire, and Hillsborough. We do not only specialize in the installation, repair, and replacement of dock systems and hardware; those are just a part of what we do. Instead, we take care of everything from the very first step. Before we plan the development of your waterfront, we impart to you the limitations of the laws of the State Department of Environmental Services. We also check on the conditions of your location in order to determine which product perfectly suits the lake conditions in your area. You won't also have problems on your permit, because we can perform all the work involved in the permitting process, including follow-ups with the authorities during the review your application. Contact us and schedule a consultation today.